What Do You Need to Create a Cold Storage Warehouse? Cold storage warehouses are a vital component of the food industry, agriculture and any industry involving storage at set temperatures. They allow food to be transported to its consumers safely, help to prevent market price fluctuations by stabilising the supply, and make it possible for businesses to flourish which would otherwise lose huge amounts of their stock to spoilage. A cold storage warehouse must be able to keep the interior temperature within narrow margins, while still functioning as a fully operational warehouse, receiving, processing and distributing goods – often by lorries. This combination of requirements makes the cold storage warehouse a complex, challenging installation for any business – but it’s a challenge that MT Cold Storage Solutions is ready to help you with! Just give us a ring on 01886 833381 or send us a message today! What Is a Cold Storage Warehouse? A cold storage warehouse is a warehouse, or section of a warehouse, which is kept at a low temperature to preserve the goods stored there. Functioning in a similar manner to a cold room, but on a much larger scale, a cold storage warehouse allows a business to store very large quantities of temperature-sensitive goods, and manage complex logistical operations like bulk deliveries and distribution, without compromising the quality of storage provided or the quantity of goods which can be stored. 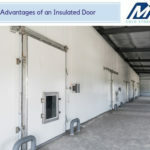 They do this by ensuring good-quality insulation throughout, and making use of industrial cooling systems to keep the temperature at an optimal level, while industrial insulated doors make sure that the interior of the warehouse is exposed to external conditions as briefly and infrequently as possible. A cold storage warehouse can optimally be situated between the suppliers of the stored goods and the market for them, making sure that your customers enjoy the freshest, best-preserved food on the market by reducing the time spent outside of cold storage as much as possible. Alternatively, you could use temperature-controlled freight services to transport the goods at the same low temperature as that provided by the cold storage warehouse, maintaining an even temperature for your stored goods at all times. Why Would You Need a Cold Storage Warehouse? Cold storage warehouses are crucial to properly storing temperature-sensitive goods like foodstuffs, ensuring that they can be distributed to their consumers in the best possible quality. In industries including food and drink, agriculture, pharmacy and manufacturing, large quantities of goods may require storage at particular temperatures to prevent degradation, and where this is the case, a cold storage warehouse is the ideal solution. A cold storage warehouse is essentially a huge cold room, able to meet consistent standards for temperature, hygiene, safety and quality while fulfilling the normal roles of a warehouse – accepting shipments, packaging up freight and assisting coordinated logistics operations. From the industrial cooling system that chills the warehouse to the insulation and thermal insulated doors that keep it cool while it works as a busy warehouse, the vital components of a cold storage warehouse are all available from MT Cold Storage Solutions – contact us today on 01886 833381 or get in touch on our contact form! The experts at our head office will be happy to help you find the ideal cold storage warehouse solution for your needs, and can provide advice or answer any questions that you may have. The first thing that sets a cold storage warehouse apart from a cold room is storage space: lots of it. A cold storage warehouse is a large space with the facilities to cope with the level of activity generated by warehouse work: your cold storage warehouse will need to be able to accommodate workers, lifting and carrying equipment, and maybe even freight trucks in order to work as efficiently as possible, though these features will need to be optimised with regard to thermal insulation in order to keep energy costs down and efficiency up. Talk to the team at MTcss about optimising your warehouse for cold storage today – they’ll be happy to help you. In order to cool the huge interior of a cold storage warehouse, you will need a powerful cooling system. 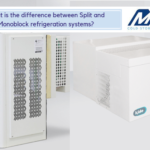 The industrial cooling systems offered by MT Cold Storage Solutions is one way to make sure that your cold storage warehouse remains at the right temperature, as these robust, powerful chillers can lower the temperature to the required level and maintain conditions, ensuring a reliable, completely consistent storage temperature throughout the warehouse. Without insulation, your cold storage warehouse will become a heat sink for the surrounding area, and heat will rush in, overworking your industrial cooling unit and spoiling all of the temperature-sensitive goods kept in the warehouse. You wouldn’t try to run a cold room with no insulation, so why would a warehouse be any different? Cold storage warehouse insulation available from MTcss includes wall insulation, insulated doors and insulated flooring, and with all three in place, you’ll be able to ensure that there are no weak points in your warehouse’s insulation which may allow heat to enter and cause problems! Thermal insulated doors are one of the most important features of a cold storage warehouse. Preventing convection currents from forming, or conduction and radiation from occurring, a thermal insulated warehouse door also has the advantage of being able to prevent unnecessary airflow or disturbance to the air while in use, opening and closing quickly and with the minimum of disruption to the air, which helps to keep the interior of the warehouse cool even in heavy traffic conditions. No matter how busy your cold storage warehouse is, you can rely on the thermal insulated doors from MTcss to help keep it cool! Insulated wall panelling from MTcss helps to prevent heat from creeping in through the walls of the cold storage warehouse, with protection against conduction, convection and radiation. While convection is often considered to be the biggest danger to cold room integrity, able to circulate warm air in and raise the overall temperature very effectively, conduction and radiation are equally dangerous in warehouse walls, since the heat of the sun or the surrounding area may warm the walls, allowing ready conduction and radiation of large amounts of heat. The wall insulation available from MTcss can be installed by our expert teams and provides unmatched insulation for your cold storage warehouse, boosting your energy efficiency, lowering the costs of running your cold storage warehouse, and helping to guarantee great quality in all your stored goods! One part of the insulation of a cold room or cold storage warehouse that is often overlooked when insulating the area is the floor. Literally beneath notice, it is often assumed that a solid floor connected to strong foundations will act as insulation enough, and won’t conduct much cold away or much heat in. Unfortunately, that isn’t the case, and as cold air sinks and heat rises, the floor is actually just as likely to result in heat entering the cold room as other areas, if it isn’t properly insulated – so you should always be sure to pay attention to it when outfitting your cold storage warehouse! Can MTcss Provide Everything Needed to Create a Cold Storage Warehouse? 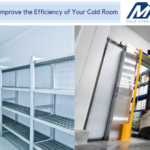 From industrial cooling systems to insulated wall panels, thermal insulated industrial doors and more, MT Cold Storage Solutions can provide everything you need to create a cold storage warehouse. Get in touch with us today to find out what we can do for you! 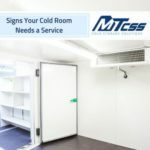 Contact MTcss Today for Cold Storage Warehouses and Industrial Cooling Systems Today! If you would like more information on cold storage warehouses, or you would like to know more about what MTcss can do for you in the field of cold storage, you can get in touch with the experts at our head office at any time by calling our telephone number, 01886 833381, or by sending us a message on our online contact form, on this site. 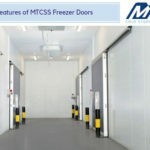 The staff at MTcss have decades of experience in connecting their customers with the ideal cold storage solution for their needs, so whether you need a fully-equipped cold storage warehouse, an industrial cold room or just an individual aspect of cold storage, like an industrial cooling system or insulated door, you can rely on MTcss to have the solution you need. Our expert team will be happy to provide the answers to any questions that you may have, or offer any advice that you need to find the best cold storage warehouse solution for your requirements, and can provide quotes and process orders wherever necessary to make sure that you reach the optimal cold storage solution for your business, your products and your customers! What are Nergeco Doors and How Can They Help My Business? Should I Invest in Specialised Doors for my Cold Room?